Answer: In Arizona, there is no certain answer. For most personal injury claims, two years. If a claim against a government employee or agency, six months to notice and one year to file. Dog bite, one year for strict liability. If the injured is a minor, then perhaps until age 18 plus whichever one applies above. Determining the applicable "statute of limitations" for your case may not be a simple task. And, if you are wrong and miss it, then you have list your right to bring your claim forever. Suggestion: Consult with an experienced personal injury lawyer as soon as possible. Initial consultations are almost always free, and the information and education you will receive will be extremely important for your case. Visit: http://zacharassociates.com to get more information regarding a personal injury case. Personal injury cases can be very complex. Having the right law firm can make all the difference in your case. 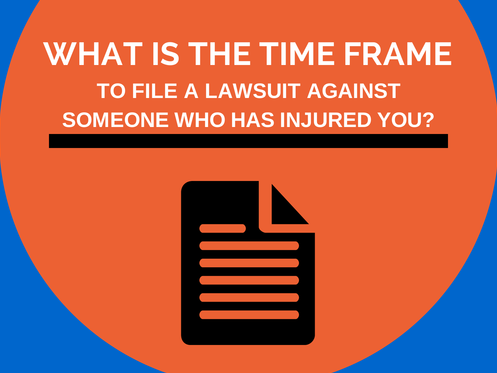 Make sure you retain a law firm that has handled cases similar to yours in the past. It is critical.